It's been a long time coming but Facebook has finally overtaken MySpace for the first time in the popularity stakes, according to the latest Comscore figures. In May, Facebook attracted 125 million unique visitors, while MySpace only managed 114.6 million. For Facebook, this is a year-on-year rise of 162 per cent. MySpace's popularity has also risen from a year ago, but at a much slower increase of just 5 per cent. Unsurprisingly, Rupert Murdoch, CEO of News Corp, the company that bought MySpace for £512 millon three years ago, is unhappy with the news. 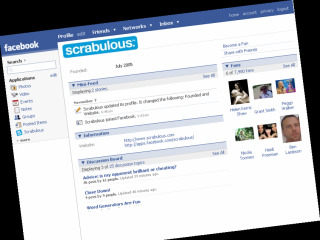 In a statement about the results, he said: "[Facebook has] done a great job of being flavour of the month the last six months of last year", but that the site isn't a real social network, but "just a directory". When asked if MySpace was in some part to blame for declining newspaper sales. Murdoch did show a lighter side by quipping: "I wish they were. They're all going to Facebook."